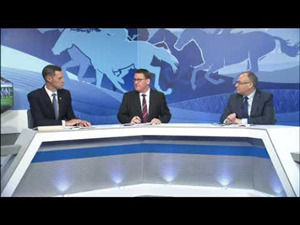 “He only had one barrier trial but he didn't need any more to win this. 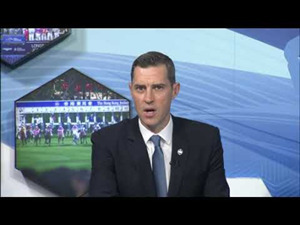 He wasn’t 100 percent today but he’s so talented that he didn't need to be,” Moore said. Champion’s Way (126lb) maintained his unbeaten record as he claimed a fifth career win under Joao Moreira in the finale, the Class 2 Topaz Handicap (1400m). But on rain-softened ground the task was not a straightforward one for the 1.8 favourite or his jockey. When the talented Good Standing (133lb) kicked clear at the top of the home straight, the John Size-trained rising star had work to do. “He proved once again that he’s a really nice horse,” Moreira said after Champion’s Way had dug deep and raced past the Moore-trained rival to a length and a quarter success. “Every time that he’s put into a new situation he’s just coped with it. That proves that he’s got a good heart in him. “You wouldn't think he was coming to win at the 800 (metres), he was actually testing my fitness but when we approached the 300 (metres) I could feel like I was going to get there – to beat a good horse, too. Big Party (127lb) started the 1.7 favourite for section two of the Class 3 Ruby Handicap (1200m) but drifted to the stands’ side rail in the home straight and was unable to reproduce the impressive acceleration of his previous start. The Lor-trained galloper ran home fifth behind fellow three-year-old Mr Croissant (115lb). The Chris So-trained winner fought gamely for Regan Bayliss to thwart the Purton-ridden Racing Fighter (130lb) by a neck. 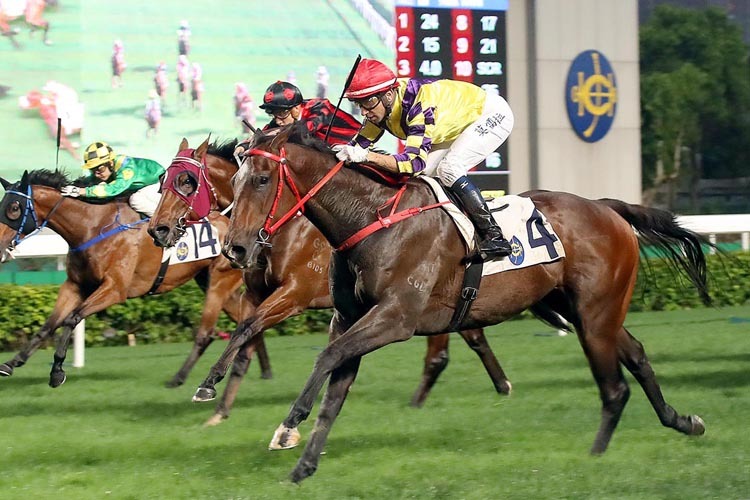 Another young gun, the three-year-old Valiant Dream, took the Class 4 Crystal Handicap (1000m) for trainer Francis Lui and jockey Jack Wong, at only his second career start. But a real old-timer got in on the act in race two when nine-year-old Laugh Out Loud took the Class 5 Amethyst Handicap (1200m) under Matthew Chadwick. 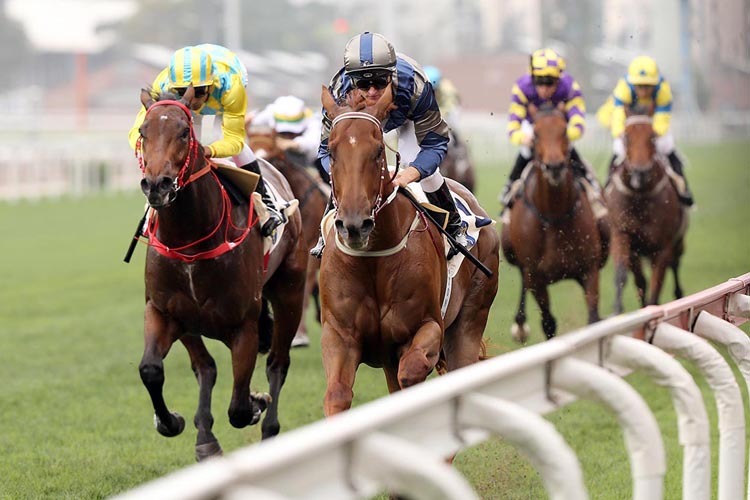 Manfred Man’s charge – a Kembla Grange maiden winner in December 2012 – had the first of his 61 Hong Kong starts in June, 2013 and had not won since June 2017. Apprentice Alfred Chan kicked on down the straight to land the Class 5 Emerald Handicap (1800m) on the Caspar Fownes-trained Best Effort, making up for a neck defeat on the same horse two weeks ago. That took the rider’s win tally to three. 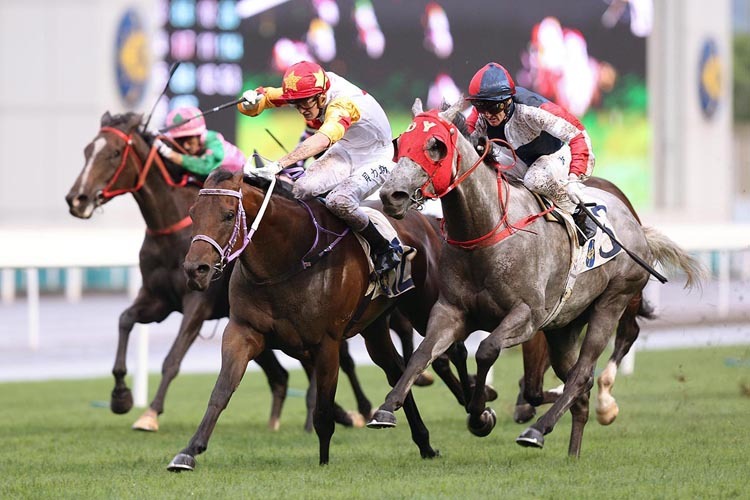 Vincent Ho teamed with Danny Shum and drove Lucky Hero (129lb) down an outside track in the home straight to win section one of the Class 3 Ruby Handicap (1200m), denying the So-trained Team Spirit (126lb). 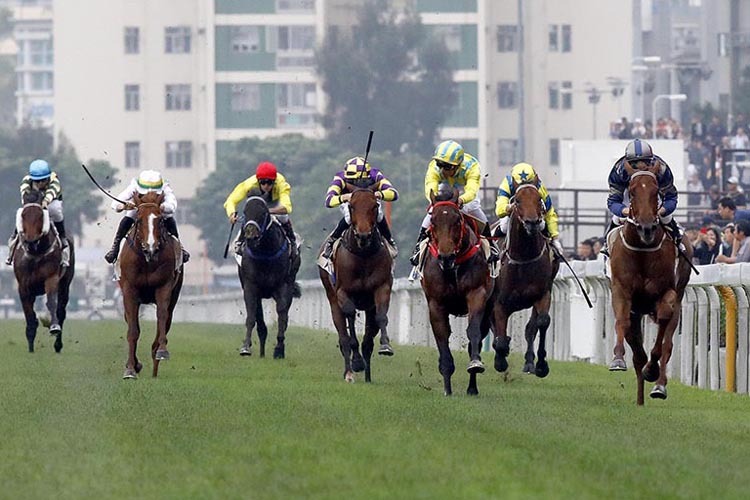 Hong Kong racing continues at Happy Valley on Wednesday, 17 April.